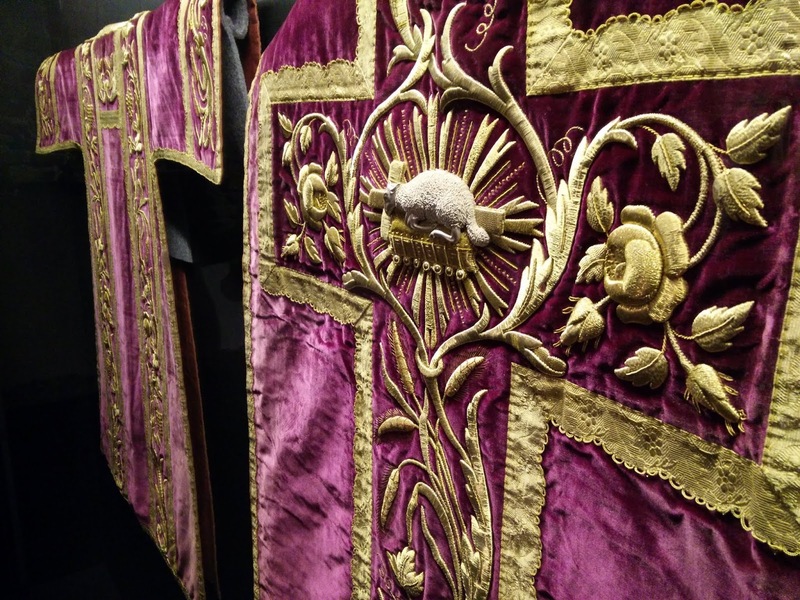 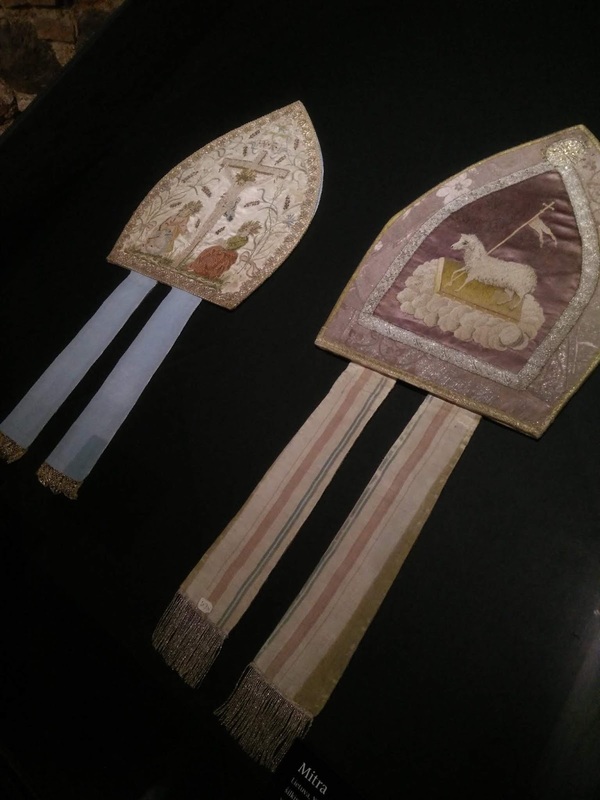 Our thanks to Mr Robert Prybyla for sending us these photographs from an exhibition of liturgical vestments which recently took place in his native city of Vilnius, Lithuania. 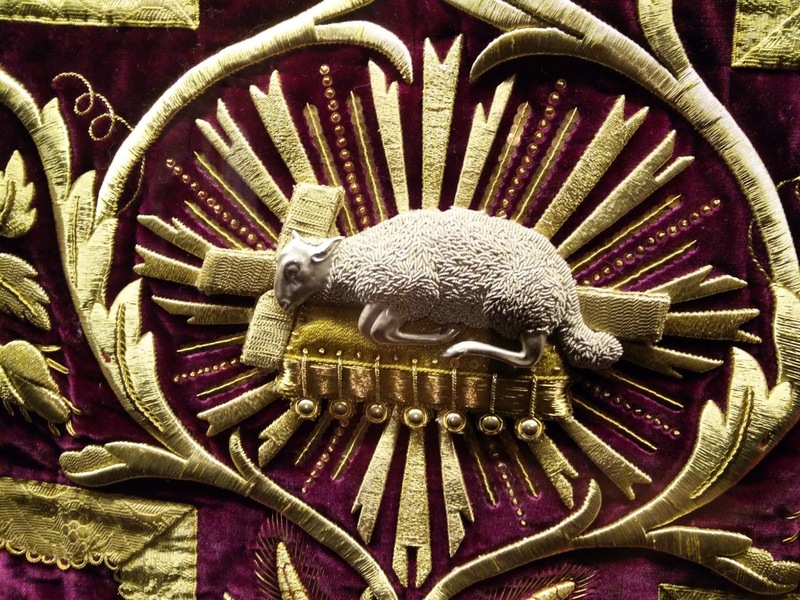 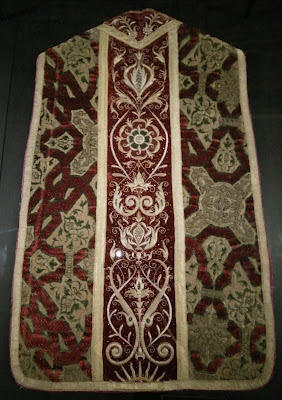 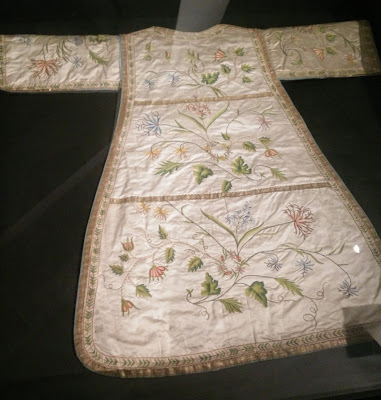 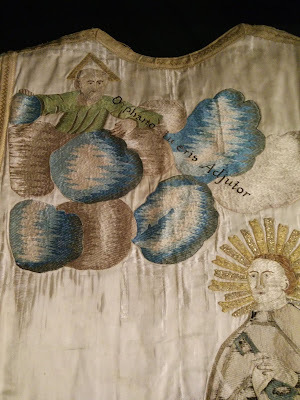 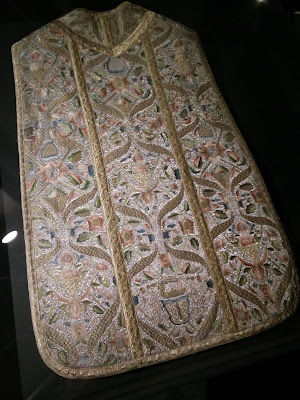 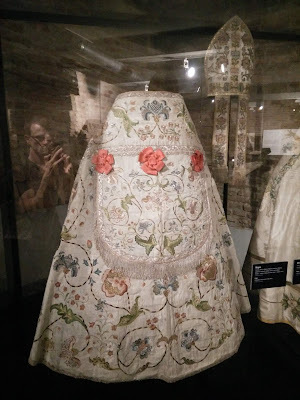 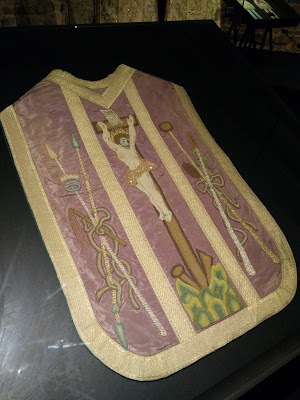 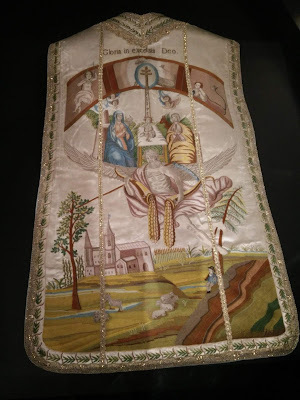 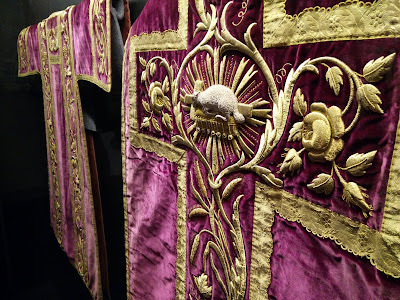 I thought these would particularly interesting to our readers since a number of them are embroidered with scenes, rather than just floral patterns, something which is rather unusual in many parts of the Catholic world. 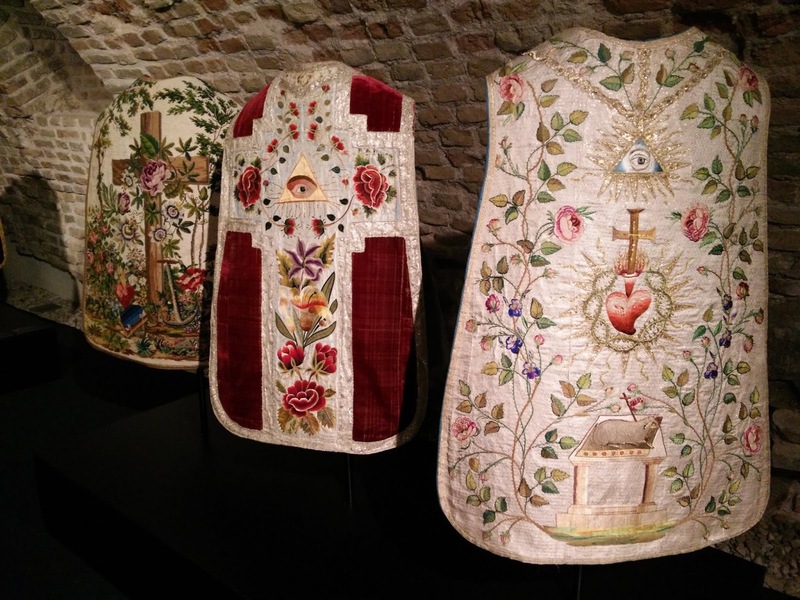 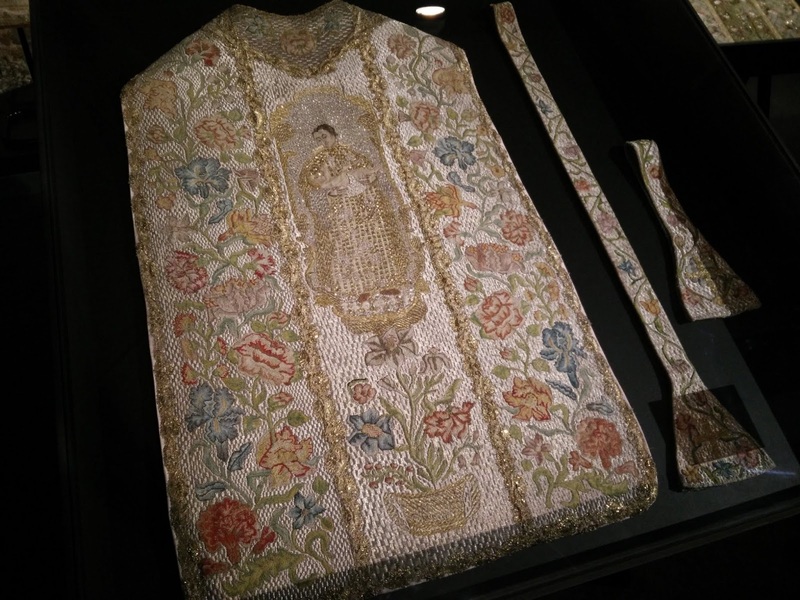 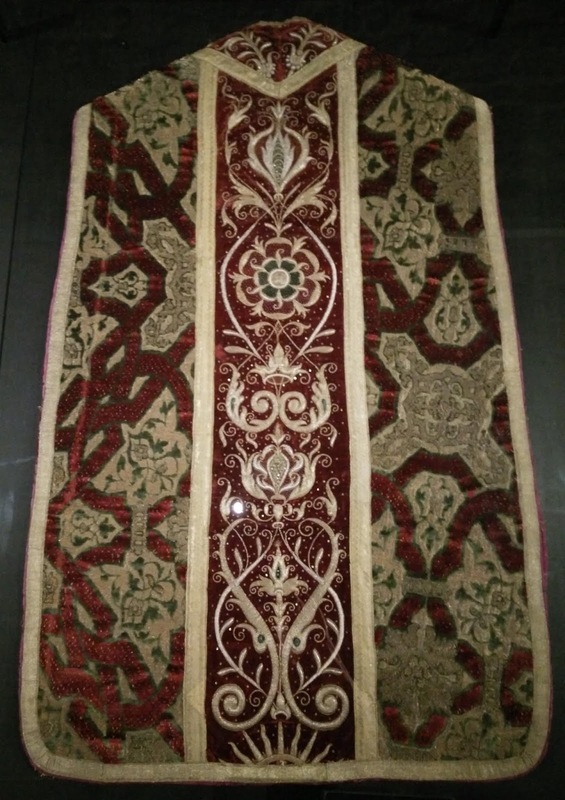 The exhibition, entitled “Embroidered Heaven”, featured vestments from the 15th-20th centuries that were once used in churches of the archdiocese; it was held in the Church Heritage Museum, which was established in 2009 in what was formerly the church of St Michael the Archangel, a strictly cloistered convent of Bernardine nuns. 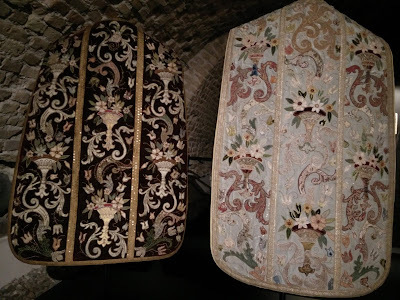 The church and convent were founded in 1599 by Leo Sapiega (1555-1637), who held several high offices in the government of the Grand Duchy of Lithuania. For devotees of the Divine Mercy Devotion, Bl Michał Sopočko, the confessor of St Faustyna Kowalska, was rector of the church and chaplain of the Bernardine nuns here from 1934-1938. 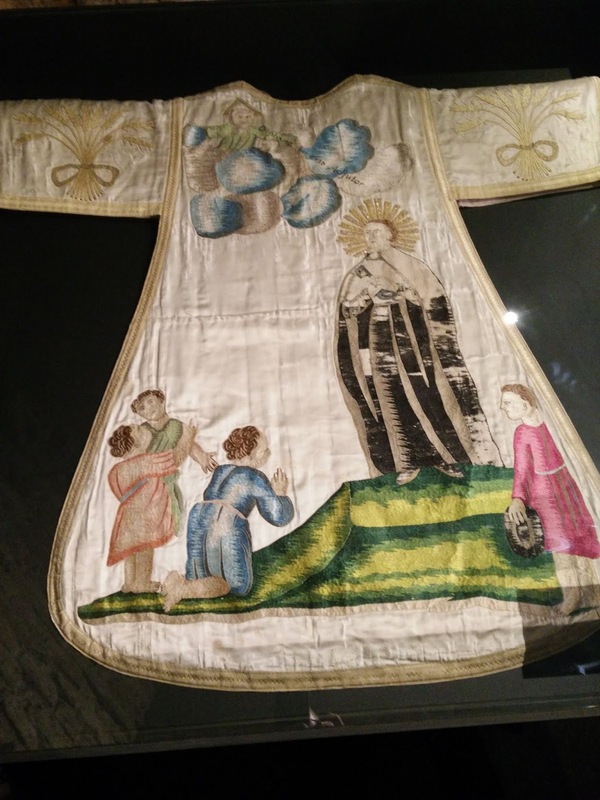 The image of Divine Mercy, which was painted in Vilnius in 1934, was initially hung in the convent corridor, until the archbishop granted permission to place it in the church itself. 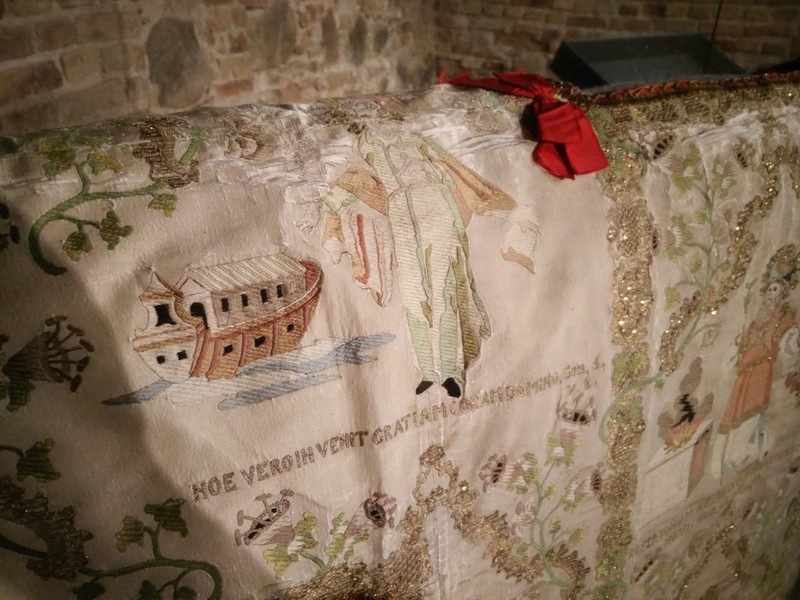 In the Soviet era, the church and convent were closed, and the 18th-century altar and pulpit were demolished. 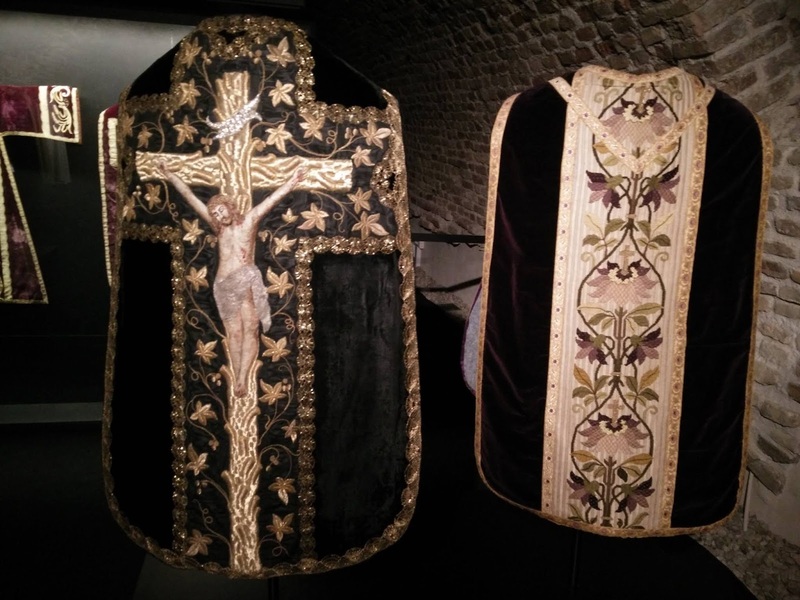 Following a fire in 1964, the church was renovated and became a museum of architecture; after Lithuania regained independence, the church building and dilapidated convent were returned to the archdiocese in 1993. Second half of the 17 century, from Vilnius Cathedral, with a representation of the Patron Saint of Lithuania, and titular of the Cathedral, St Casimir. 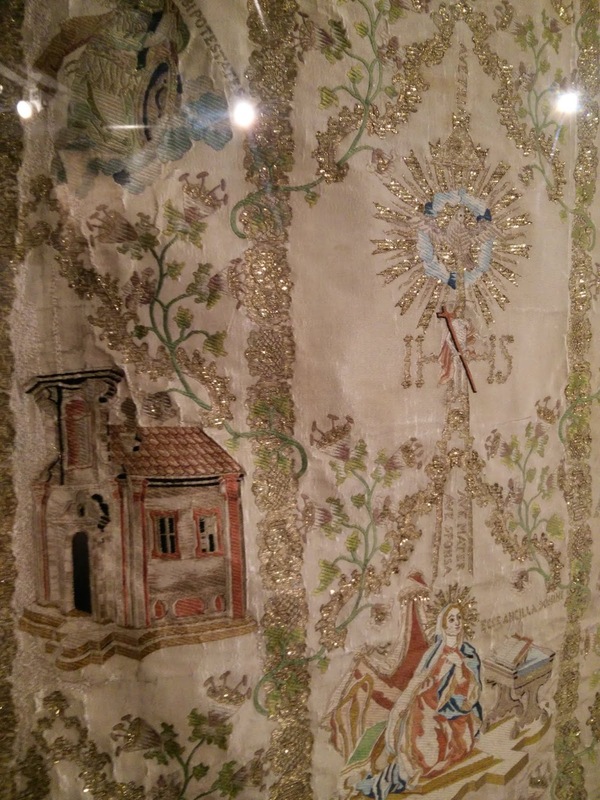 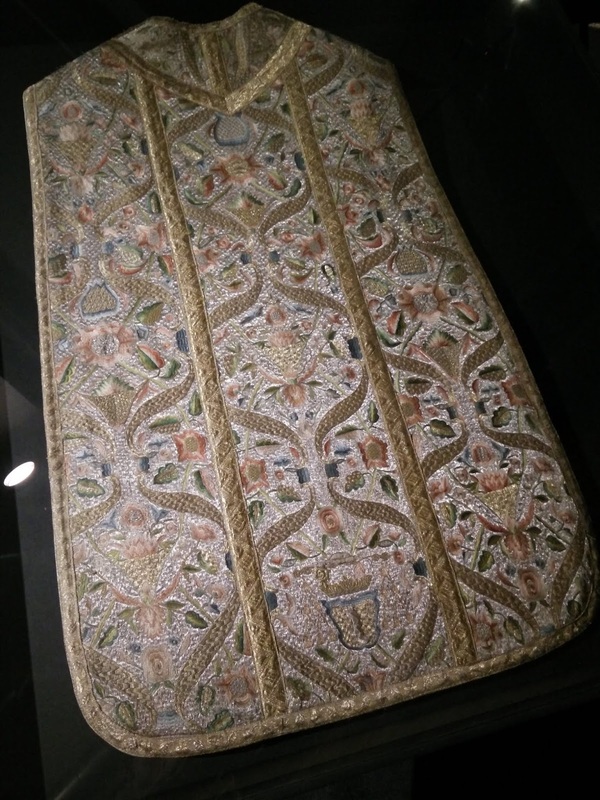 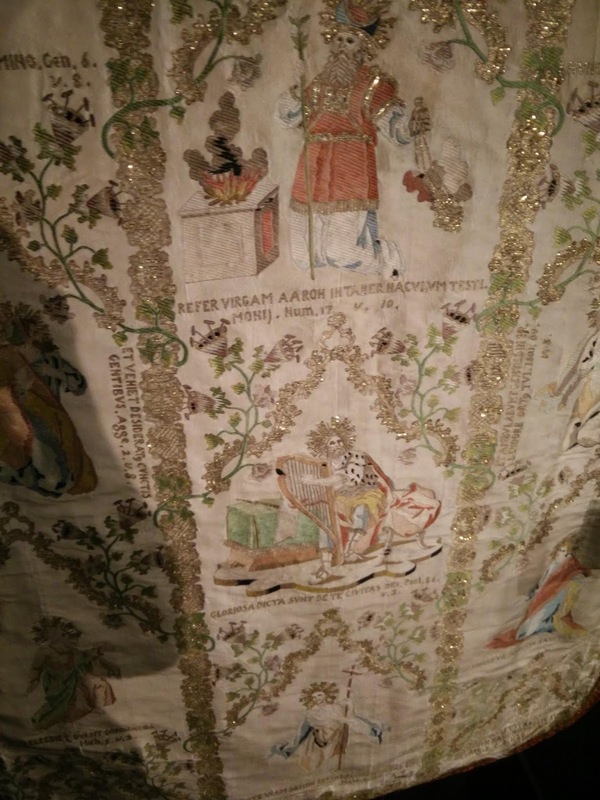 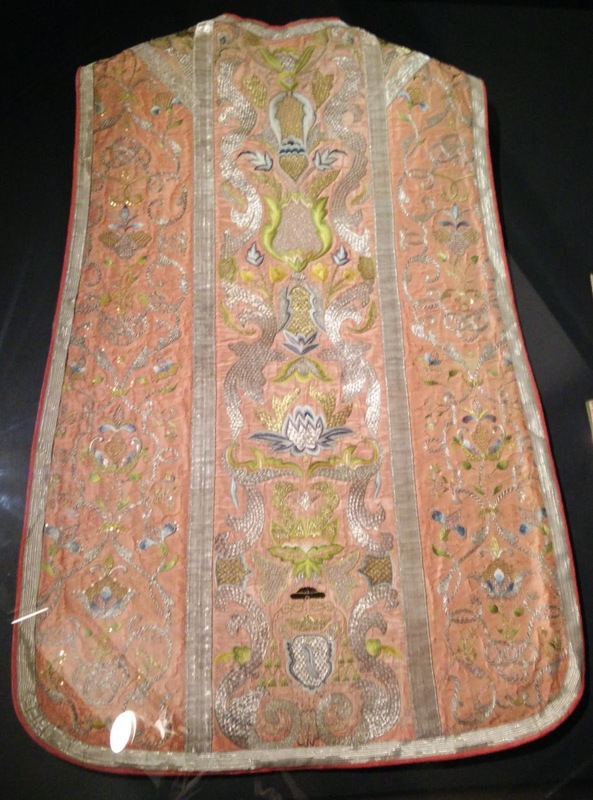 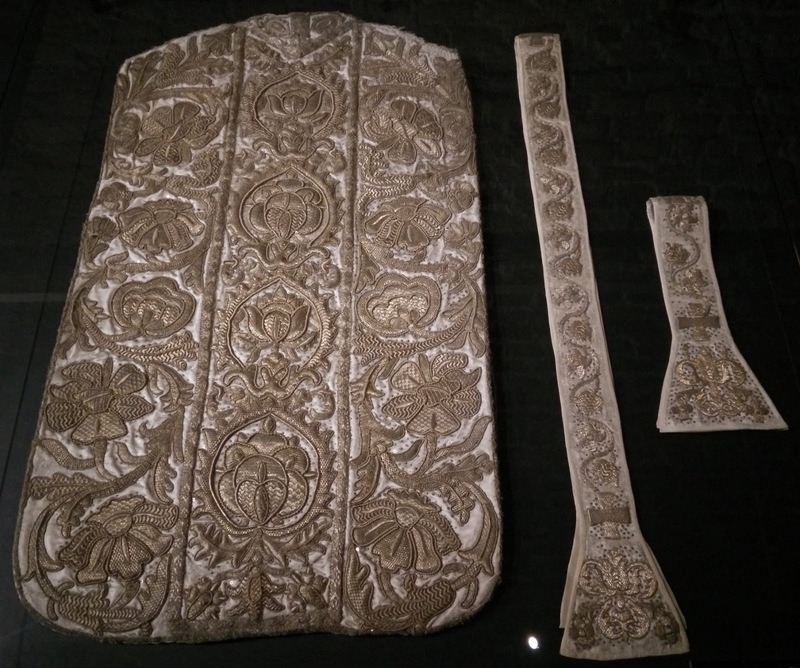 Chasuble of the mid-to-late 18th century, French fabrics with embroidered scenes. Chasuble for Passiontide, late 18th to early 19th century, from the church of St Michael the Archangel. Dalmatic, late 18th to early 19th century, from the church of the Providence of God.